Through extensive market analysis, we identify local market trends, targeting prime competitive locations for retailers and office tenants alike, and meeting objectives with maximum efficiency. We understand your business and apply the sensibilities and business model your success is based on to the real estate out of which you operate. Venture REI offers complete representation, from site identification and lease negotiations through occupancy, ensuring a seamless experience from start to finish. VENTURE REI offers complete site representation, from individual locations to entire portfolios. Through extensive market analysis, we create the maximum value for the asset, determining the target demographic and creating unique, dynamic marketing campaigns for each property. Marketing is our niche. In-house we develop marketing strategies and design materials—both online and print—to reach your target demographic as effectively as possible. Our memberships with commercial MLS services such as CoStar and LoopNet allow our clients’ properties to be viewed by industry professionals locally, nationally and internationally. We match the ideal tenant for your space; through extensive screening, we ensure that only the most qualified tenants with the greatest potential for longevity are considered. We work side by side with attorneys to secure the most favorable lease terms possible. The relationships we have cultivated with industry professionals—including attorneys, architects, engineers and contractors—ensure success from negotiation through occupancy. 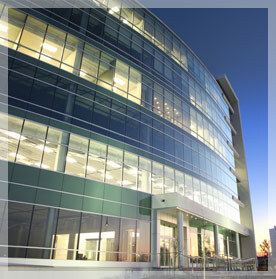 Click here to contact a Venture Commercial Broker.